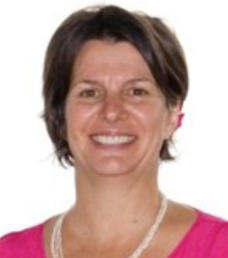 Laura Stocker is an Associate Professor in Sustainability at Curtin University Sustainability Policy. Laura is a marine biologist by training but since 1989 has also taught and researched in the Humanities. She is widely published across a range of genres including social research and life writing; her research is highly interdisciplinary. At Curtin University, Laura co-ordinates the Master in Sustainability and Climate Policy and teaches a unit titled Pathways to Sustainability. She uses action-research workshops such as participatory mapping to engage stakeholders and the broader community in developing adaptive pathways for coastal sustainability. Laura’s collaborative research work with Aboriginal colleagues culminated in an award-winning website <derbalnara.org.au> about the Aboriginal uses and values of the Perth coast. She has curated an art exhibition at the John Curtin Gallery about climate change impacts on the coast. Laura has a number of PhD students researching in diverse creative as well as traditional modes. Laura was Deputy Leader of the recent ‘Coastal Collaboration Cluster’, a CSIRO-funded research program involving seven Australian universities that focused on enhancing science uptake into coastal and marine governance.